Beijing Auto will start selling the C70G, which is based on Saab's 9-5 platform, this year. Beijing Auto bought the technology from Saab in 2009. 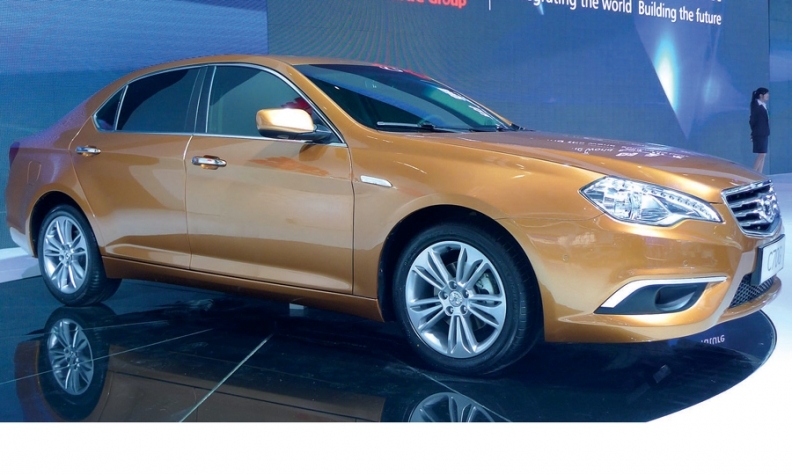 The car was unveiled in April at the Beijing auto show. The Chinese consortium that last week acquired control of bankrupt Saab Automobile says it plans to use the company's assets to make electric vehicles. In a statement, the bankruptcy administrator gave no details on how much the buyer, National Electric Vehicle Sweden AB, was paying for Saab or how much it would invest. "The company will start a new operation in Trollhattan where all development and production will be focused on electric cars," the administrator said. According to Swedish media reports, the company will pay $210 million to $250 million for Saab, excluding spare parts company Saab Automobile Parts AB. A Web site for National Electric says 51 percent of the company is owned by National Modern Energy Holdings Ltd., a Hong Kong renewable-energy powerplant builder. The other 49 percent is owned by Sun Investment, a Japanese company that backs alternative-energy enterprises. Saab has been unprofitable for two decades, and General Motors, which acquired full control of Saab in 2000, sold it in February 2010 to Dutch automaker Spyker Cars NV. The Saab administrator said early in 2012 that half a dozen parties had shown interest in buying the company. China-based Zhejiang Youngman Lotus Automobile said in February that it was in talks, and it made a $567 million offer last month, according to a person familiar with the situation. Saab had been struggling since at least December 2009. Sales peaked at 133,000 in 2006, but Saab sold just 31,700 vehicles in 2010. No sales figures have been released for 2011. Eric Geers, a former Saab spokesman who now works for startup Chinese carmaker Qoros Auto Ltd., estimated in February that the Swedish brand sold 10,000 to 15,000 vehicles last year. GM still licenses technology to Saab and has a small number of shares.